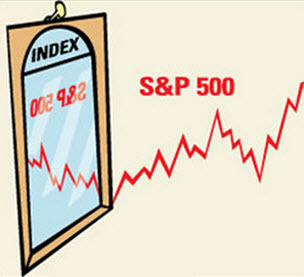 Learn how to make money on the stock markets! The investor believes that the stock price will rise. The investor plans to eventually sell the the stocks and pocket the difference. 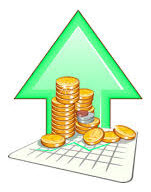 The investor believes that the stock company will pay dividends to its shareholders. Before you start investing in stock, it is a good idea to sit down and decide on a few basic objective for the project. Think about things such as your risk-willingness and time horizon, and if there are any companies or industries that you would prefer to stay away from. Also take into account how much time and energy you are willing and able to spend on stock trading. Daytrading penny stocks can be exciting, but it does require time and devotion to ensure near-perfect timing. For many investors, a buy and hold strategy focused on blue chip stock is more suitable than swing trading and scalping adventures. As a novice investor, it is easy to get carried away by a nice sounding sales pitch. Instead of first determining our investment goals and put together a suitable investment strategy, we get a sudden urge to immediately invest in that particular company that is SO HOT RIGHT NOW and is just about to make its initial public offering (IPO) and is getting so much buzz in the media this particular week. This type of impulse buying can easily spell disaster. Maybe start with an index fund? If you don’t have much money to invest but want to get started investing in stocks, the index fund is an appealing solution. The downside is that you won’t own any stocks outright in your own name. You will purchase shares in the index fund, and the fund will own stocks. One of the advantages is that you can pick an index fund that has a suitable risk-profile for you. You can spread risk even though you don’t have much money to buy stocks with. There is a huge amount of index funds to chose among. A popular starter-combo is one broad market index fund (e.g. one that tracks the S&P 500 index), one index fund that tracks and index comprised of smaller companies, and finally an index fund that tracks an index that gives you exposure to other geographical markets than the other two funds. Just because you start out with index funds, that doesn’t have to mean that you’ll never own shares in your own name. Index funds can be a great way of quickly getting started, even if your goal is to eventually invest in individual stocks. Never get tempted to start investing in FOREX certificates, CFD:s or binary options. All these assets are high risk and not suitable for novice investors. Binary options are often marketed towards beginners but is a high risk instrument and most novices lose money when they try to trade with binary options. You can read more about the risks of binary options trading here. A good rule of thumb for a small starter stock portfolio is to get shares in one dozen different companies. You might not be able to buy them all at once (depending on your budget) but it should be your aim to reasonably soon have shares from at least twelve different stock companies in your portfolio. Aim to spread risk by choosing companies in different industries, different geographical markets, different caps, etc. This way, you can achieve reasonable diversification. Don’t fall into the trap of getting low-priced shares just to be able to buy shares in twelve different companies at once. Do your research and pick shares that you have good reasons to believe in, even if they come at a high price. It might take longer for you to build your portfolio, but you will be paying for quality instead of getting lured in by the siren songs of low-priced shares. Low-priced shares can of course be a great investment, but buying shares just because they are low-priced is not a good strategy.